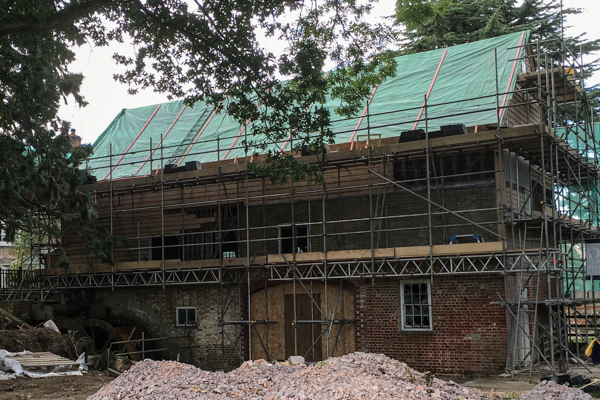 This is getting exciting, the lucum is almost the last thing to be slated and it means we are nearing the point of putting the ridge tiles on. Nick runs a tight ship with super attention to detail. 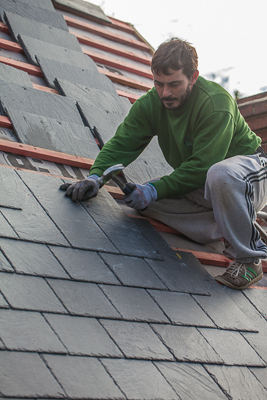 We had a great experience when Flitwick Roofing did the work on the Forge and Garage buildings and we had no hesitation in getting them back. If you want a good job well done go find a busy man. He's busy for all the right reasons. Mark is astonishing. 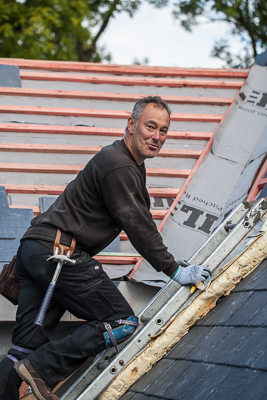 His work ethic is second to none and he carried about 10,000 slates up and down to our roof. 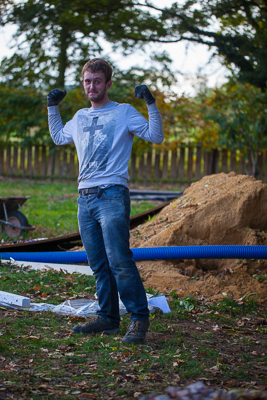 He was the man who sorted and graded the slates so that Nick and Wayne could work efficiently. Together Nick Wayne and Mark were a fabulous team. 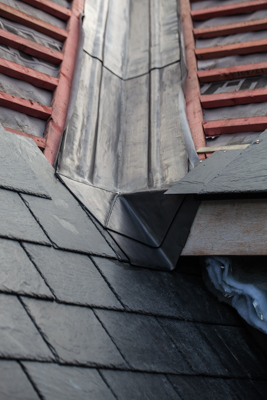 We are now working on the leadwork around the lucum and that means we are well on the way to a completed roof. Nick is a masterful welder, his leadwork is perfection and the whole team take great pride in a great job. Here we see Wayne knocking in a few copper nails as he nears completion of the North side. Here's Wayne fixing the top row on the south side. These slates have to be cut to size. South side of the roof shows clear indication of what it's going to look like. 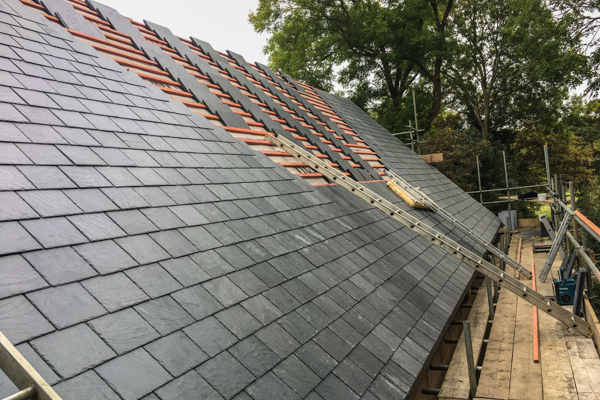 The roof is loaded with slates which have been painstakingly sorted with thin ones at the top and heavier thicker ones at the bottom. The south side of the roof was stripped and wrapped during the first week. 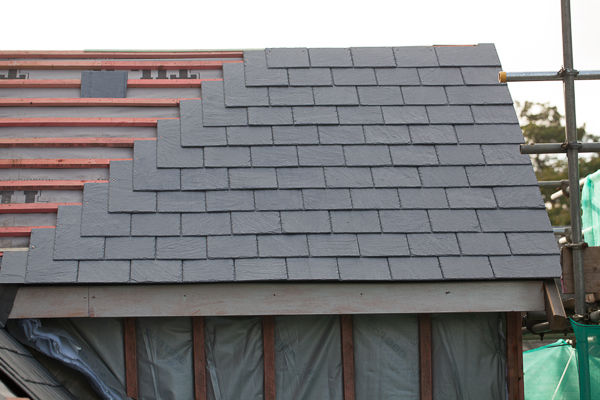 We managed to rescue a few slates but our decision to replace was confirmed at this stage. The old roof turned out to be a bit of a disappointment. 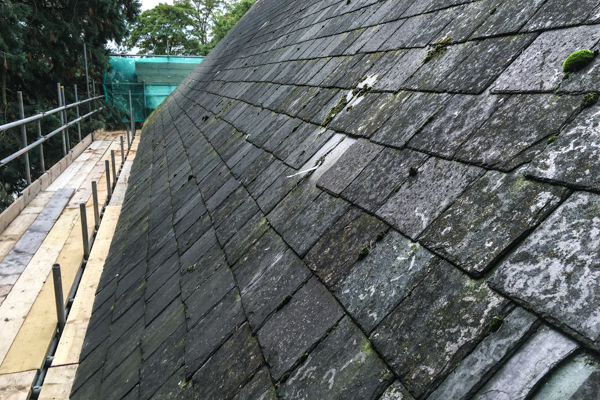 When we got up there we discovered irrecoverable slates. 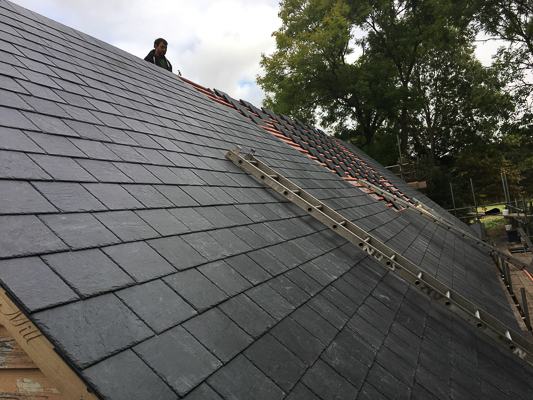 We very quickly decided to abandon the idea of re-using slates and ordered new ones that matched those on the other buildings.